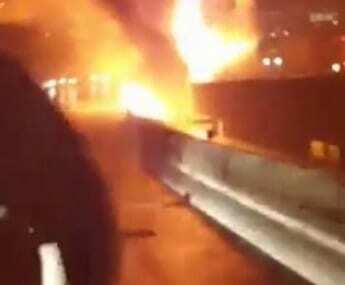 A fiery crash has claimed two lives and shut down Interstate 95 in both directions. The wreck occurred early Saturday morning along northbound I-95 near Caton Avenue when a tanker truck slid off the highway and tipped over. The accident set off a massive fireball. Two people were killed and nine people injured in the crash. A total of 67 vehicles were involved in the pileup. Traffic is being rerouted and there is no estimated time for I-95 to be reopened. You can view video of the incident below (CAUTION: language).